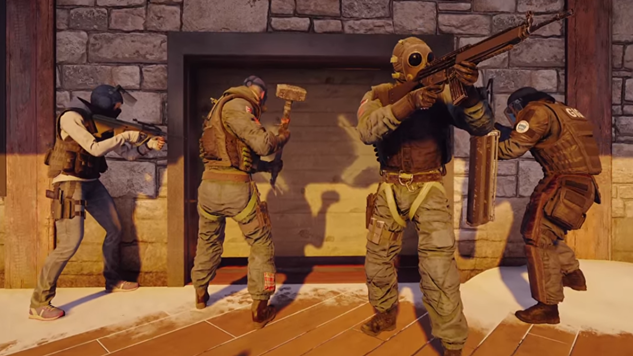 Ubisoft’s Rainbow Six Siege has cultivated a loyal fan base over the past two years, but recent changes announced ahead of the launch of the game’s year three content additions have met with resistance from players. Effective Feb. 13, the $40 Standard Edition of Siege will be replaced with a new $60 Advanced Edition that includes items specific to the four-week Outbreak event that kicks off the first season of year three. Along with the game, players will receive 600 R6 Credits, the game’s microtransaction currency, and ten Outbreak Collection packs, randomized loot boxes that contain cosmetic items available exclusively during the Outbreak event. The $15 Standard Edition available for PC will not be changed, but the Gold Edition and Complete Edition of the game will also see $20 price increases, moving to $90 and $130, respectively. The Gold Edition delivers the Advance Edition package with a year three Season Pass, while the Complete Edition adds 16 operators from years one and two. It is rare to see a game increase its price years after release, and Ubisoft is taking some flak for the move. The decision gives the perception that Ubisoft is trying to increase its revenue stream with a price increase for new players after Siege received incredibly favorable press coverage over the past year. It also feels somewhat exploitive, considering the Advanced Edition will be the lowest tier of the game available for purchase on console. Even PC players who have access to the cheaper Standard Edition see drastic disadvantages, as operatives cost 10,500 more Renown, the in-game currency, to unlock at that tier. Further criticisms about the new Advanced Edition have been levied in response to its inclusion of Outbreak Packs. Each one costs 300 R6, or $5, and contains one of 50 unique cosmetic items available during the Outbreak event, but the rewards are randomized in an effort to motivate players to purchase more Packs in order to get what they want. Even though there will be no duplication of items, the fact that players might have to spend up to $230 to get a specific item they desire is making a lot of foreheads wrinkle. Beyond the inclusion of loot boxes, longtime players are upset that incoming players are receiving ten Outbreak Packs in addition to the four Outbreak Packs all players will receive for logging on during the event. According to Eurogamer, players on Reddit complained that the reward to new players as compared to the amount of money they’ve paid over the course of their time with the game for content and previous editions of the game is unfair. “I bought the $100 complete edition and the $30 year three pass and the people who are going to buy the $60 version are going to get ten more packs than me. Wtf,” said one Reddit user. Whether Ubisoft makes changes to cater to its existing fan base over these discrepancies remains to be seen. Siege’s year three content will begin to roll out this spring, and hopefully the publisher will answer the questions posed by its players and potential customers before then.